America may have shunned the wagon, but these five may make everyone change their minds. For some unknown reason, station wagons have become about as cool as pocket protectors in the US. Perhaps the current generation of luxury car buyers fell out of love with the wagon after being driven around in the slow, horrendous wagons of the '70s and '80s and still haven't recovered. Whatever the reason, we recognize that there are some amazing wagon models on the market today, but very few that are available in the US. Wagons are no longer slow family haulers. In fact, we prefer them to SUVs and these are our five favorites. The Mercedes E63 S Estate has to make our list because it is by far the most impressive wagon on sale today. Like its sedan counterpart, the Estate gets the 4.0-liter twin-turbo V8 good for 571 hp and 553 lb-ft of torque. The S variant brings total output up to 612 hp and 626 lb-ft of torque. 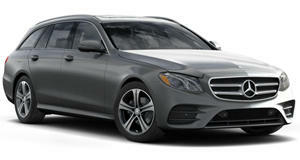 According to Mercedes' US website, the US will only be receiving the S model, which will start at around $135,000. This may sound like a ton of money, but we are talking about supercar-level performance here (0-60 mph in 3.5 seconds). We should start to see the AMG E Class Estate in dealers by fall, but the E400 is the only Mercedes wagon that is currently available in the US. It definitely shows that the wagon market in the US is small, because two of our top five come from Volvo. Our first choice is the most sporty option, the V60 Polestar. The V60 Polestar receives a new engine for the 2017 model year, a 2.0-liter unit that's both supercharged and turbocharged. 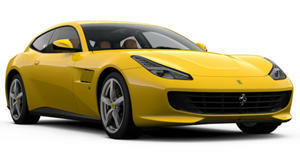 This replaces the previous car's 3.0-liter straight-six. This new twin-charged engine produces 362 hp and 342 lb-ft of torque which goes out to AWD through a new eight-speed automatic transmission. The Polestar is good for 0-60 mph in 4.5 seconds, which is pretty quick. We especially love this car in its signature color, Rebel Blue. This wagon starts at $62,095 and we absolutely love it. It may be cheating to put the Ferrari GTC4Lusso on this list, but for all intents and purposes, this is a wagon. Technically, this replacement for the FF is a shooting brake, but it is definitely the most practical car Ferrari has ever sold. We didn't love this car when it first came out, partly because of its complicated name. We also didn't love its downsized 3.9-liter twin-turbo V8 engine in the GTC4Lusso T. The old FF came only with a V12, but we quickly got over the engine downsizing because the V8 produces 61 hp and 545 lb-ft of torque. There is also a 6.3-liter V12 version that produces 680 hp and 515 lb-ft. It may be down on torque, but the V12 can really sing. The Volvo V90 is by far the least sporty wagon on this list, but we still can't get enough of it. 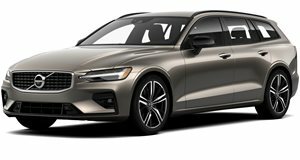 We thought the S90 sedan was stunning when we first saw it, and the V90 Wagon only takes that love to a greater level. 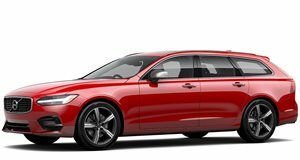 The V90 is only available in the US as a special order from Volvo dealers in two trims (R-Design and Inscription). The car starts at $49,950 for the base 2.0-liter turbocharged T5 model with FWD. The T5 produces 250 hp and 258 lb-ft of torque. The T6 version adds AWD and a supercharger for a twin-charged set up which produces 316 hp and 295 lb-ft of torque. The 400 hp T8 engine is unfortunately not available as of now, but Volvo may be cooking up an awesome Polestar variant in the future. We have been dying for Porsche to turn the Panamera into the gorgeous wagon that it always deserved to be, and our wishes have finally come true. The car will start at $96,200 for the base Panamera 4 Sport Turismo model with a 330-hp 3.0-liter twin-turbo V6. The Turbo will start at $154,000, and come with a 4.0-liter twin-turbo V8 with 550 hp. 0-60 mph in the Turbo will take just 3.6 seconds. 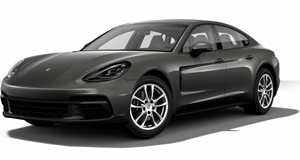 According to Porsche's website, it doesn't look like the Sport Turismo will be available in the new, blisteringly fast Turbo S E-Hybrid trim, but we won't let that ruin our joy over this amazing Porsche wagon.